Large business and commercial owners have the potential to see significant savings in monthly energy bills. 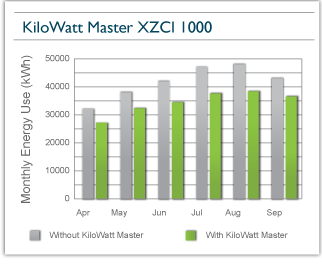 From small commercial companies to large corporations, our KiloWatt Master units can save all types of commercial businesses money. Increase your power factor, lower your energy demand and change the way utilities bill you.